Often, there are certain circumstances where iDevice users would love to remove old Apple ID from iPhone for one reason or another. The reason could be because an iPhone was bought second-hand and requires new user information and we have offered ways to ensure this is possible. Apple ID gives access to a whole lot of features on an iPhone or iPad and if you have an existing account, below are ways you can remove it either with or without password and then you can make new Apple ID. If you are in situation that you need to remove the old account first before you can make you own Apple ID, then you should check this chapter carefull. It will tell you how to remove the old one first with or without knowing the password of it. If you just need to make new Apple ID without removing, then you can move the part 2. 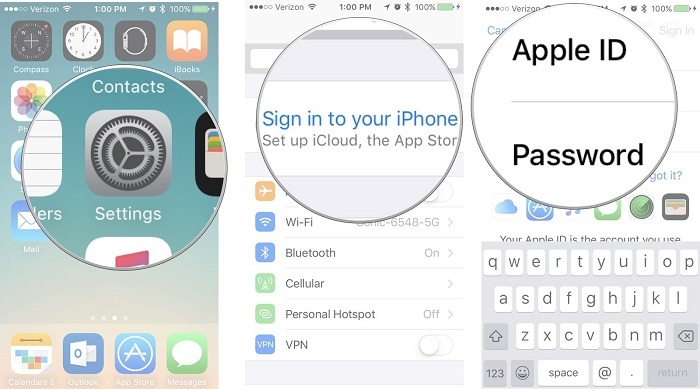 The first approach to remove old Apple ID from iPhone is without being aware of its password. In this regard, the password is unknown and it requires certain things being put in place. In fact, it basically requires a lock tool called iMyFone LockWiper that can help you remove Apple ID and its password from iPhone easily. The lock tool has been proven effective, less-time consuming and easy to use. Remove old Apple ID from iPhone without knowing the password. It can unlock Apple ID/iCloud account from iPhone, iPad and iPod touch. 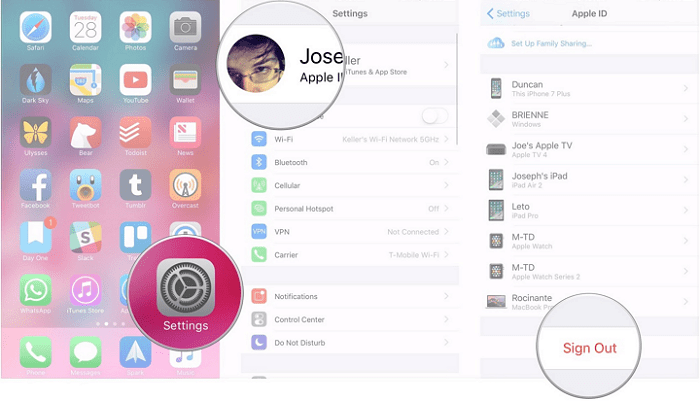 Have complete control of your device after remove the Apple ID. Enjoy all the features of iCloud and all the functions of iPhone. Works via a self-systemic program without technical help. Step 1. Download, Install and Launch iMyFone LockWiper on your PC or Mac and select “Unlock Apple ID”. Step 2. Connect device (iPhone/iPad) via USB cable to PC or Mac and ensure stable connection. Click on “Start to Unlock” and let the process begin. Step 3. It will start to unlock your Apple ID. Step 4. Once the process gets completed, restart iPhone and setup. Note: After setup, the old apple id must have been removed, then, it is your choice to make new Apple ID to gain access to several features the device has to offer. Also, please note that your device should be activated before you use the program. 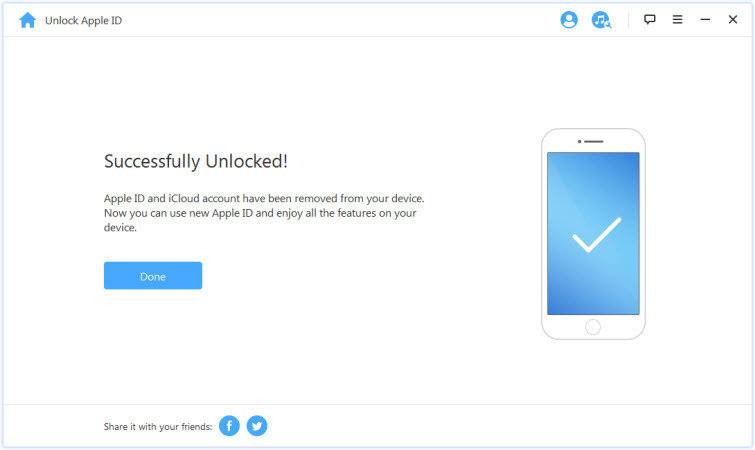 Another approach to getting an old Apple ID removed from a used or second-hand iPhone is when you know the password i.e. the previous user dropped details with you when you were making the exchange. Here, you don’t necessarily need a lock tool, all that will be required can either be done from the iPhone . Step 2: Tap your Apple ID at the top. Step 3: Scroll to the bottom and tap Sign Out. Step 4: Enter the password of your Apple ID and tap Turn Off. Step 5: Select the data you want to keep on your iPhone and toggle the switch on. Step 6: Tap Sign Out and them confirm again to sigh out of iCloud. An Apple ID allows you to gain access to almost all of Apple’s products and services and make it possible for you to download content from iTunes and App Store. So if you got an Apple device and you don’t have an Apple ID yet, follow this detailed guide and you will make new Apple ID of your own. Let’s get started learning how to sign up for a new Apple ID on your iPhone. Step 2: Choose Sign in to your iPhone at the top of the screen. Step 3: Tap Don’t have an Apple ID or forgot it? Step 4: Tap Create Apple ID from the options. Step 5: Enter a Birth date then tap Next. Step 6: Enter your First and Last Name then tap Next. Step 7: Select your current email address or create a new one. Step 8: Next you need to enter your Email address and create a password. Step 9: After verify the password, you need to select a security question and type in your answer. Step 10: Then you need to agree to the Terms and Conditions. Step 11: Tap Merge or Don’t Merge to sync iCloud data. Step 12: Tap OK to confirm Find My iPhone is turned on. After finished all the steps above, you have created your new Apple ID and now you can enjoy all the services and functions of Apple. In conclusion, the 2 approaches above are quite good and each of them depends on the accessibility to passwords if you need to remove the old one first before you make new Apple ID. If in case the password is unknown, iMyFone LockWiper will come in handy because it does a lot to the device. However, if the password is known, you can either fix the problem directly with device or use your PC if you have one.